Blue Man Group and Broadway In Boston have announced that a special benefit performance has been added to the show's schedule on Monday, June 10, at 7:30 p.m. at The Charles Playhouse. One hundred percent of all proceeds will go directly to The One Fund Boston, established by Boston Mayor Thomas M. Menino and Massachusetts Governor Deval Patrick, in support of those most affected by the recent tragic events on Monday, April 15. 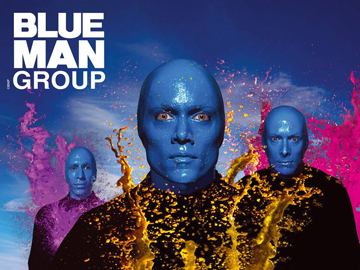 Jonathan Screnci, Resident General Manager of Blue Man Group in Boston, commented, “For Blue Man Group, every performance is about unifying people through an uplifting shared experience. Blue Man Group is proud to be offering this special performance in honor of those most deeply affected and in support of our beautiful city that we all love." Special ticket prices have been established for the benefit performance -- $55 for full view seats and $35 for slightly obstructed seats. For tickets and information, stop by the box office located at 74 Warrenton Street in Boston, call 800.BlueMan or visit www.blueman.com.